Al-Shifa Eye Trust Admission 2018 last date institution was established in 1985. It a non-government, generous and non-political health care association. The organization is dedicated to providing high-quality medical education in eye care services since last 25 years. 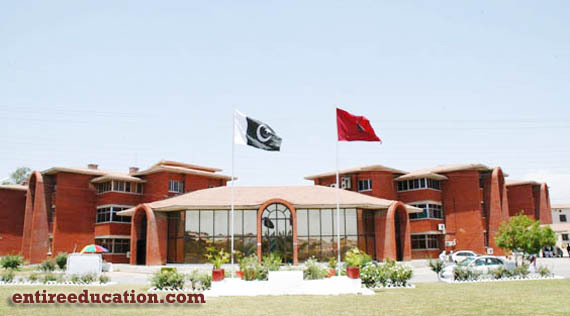 It has four states of the art eye hospitals in Pakistan. These hospitals are visited by patients every day for their eye-related problems including surgeries. Master of Science in Public health (MSPH) is a postgraduate degree offered under the banner of Quaid-E-Azam University. It is a 2 years (24 months) degree. The curriculum of the degree is designed to provide best quality education to the students, to produce competent and skilled health researchers in Pakistan. The of the Department of Public health is to improve the method of teaching and research by advancements of the system and collaborations with national, regional and international partners. Application forms should be filled on prescribed forms available in the prospectus book. Prospectus and application forms can be downloaded from the website. A nonrefundable fee of Rs. 2000 should be submitted through Pay order or bank draft. Final selection will be made by the selection committee. If the required documents are not provided with the application form the candidate will not be considered as eligible for admission. The last date for submitting application forms for MSPH is 30th August 2017. Other dates will be provided on form submission.